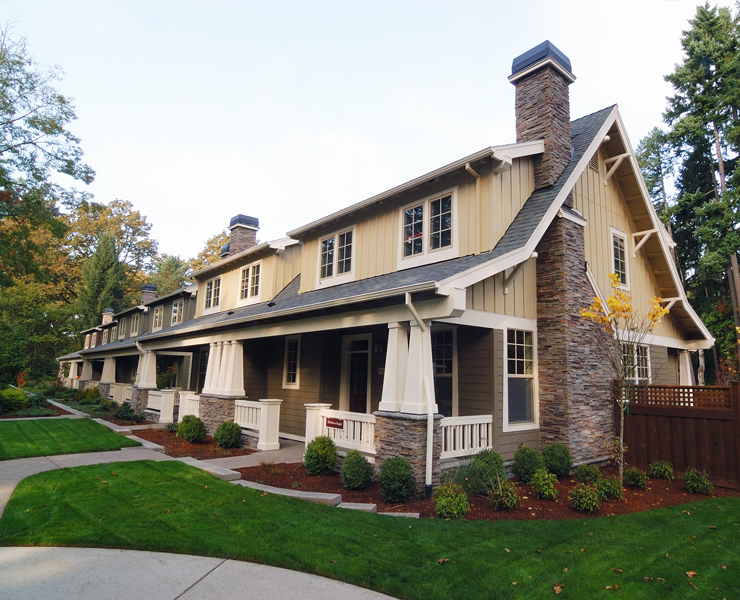 This 32 unit upscale townhome development sits on a 4.67-acre site with over 45 percent of the site preserved as wooded open space. 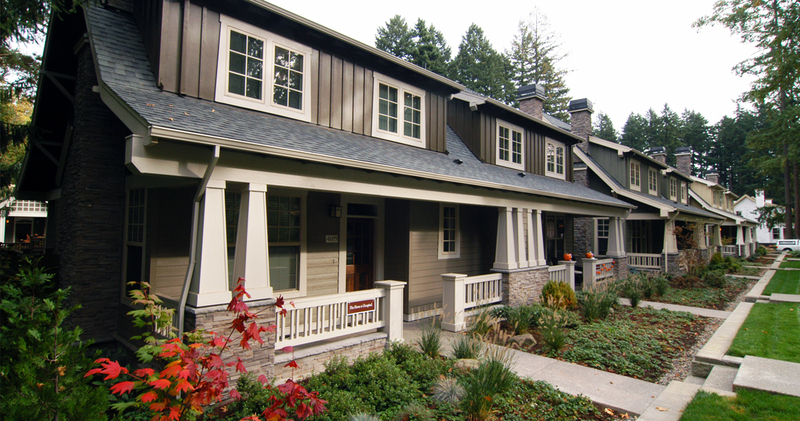 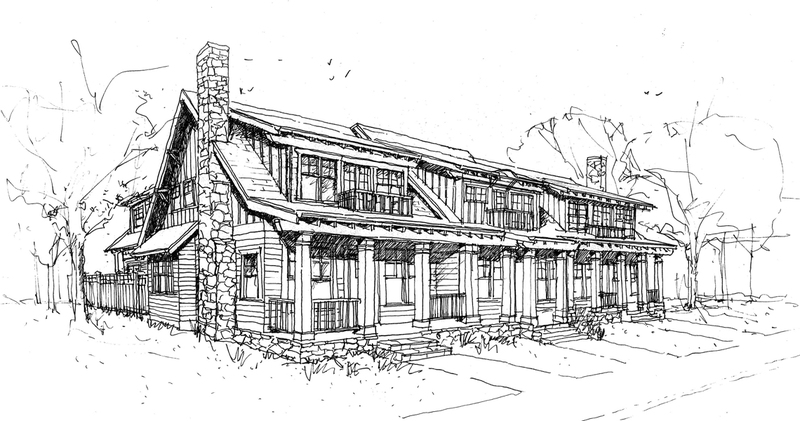 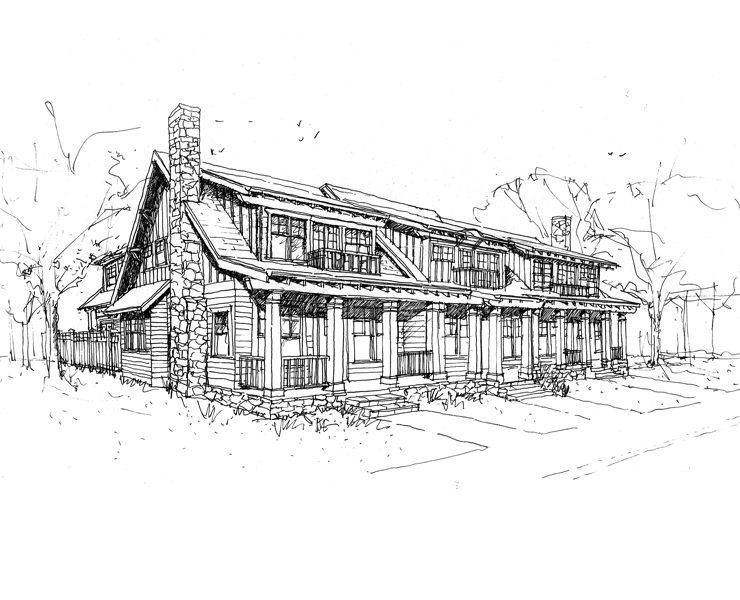 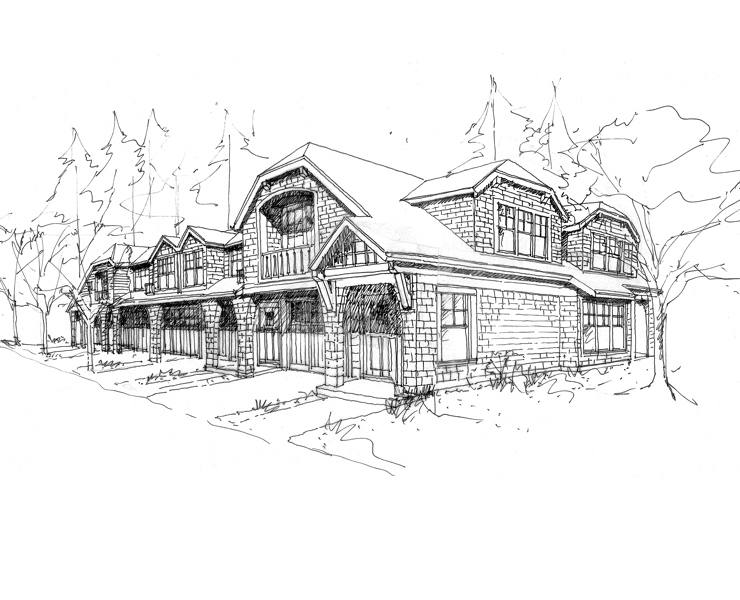 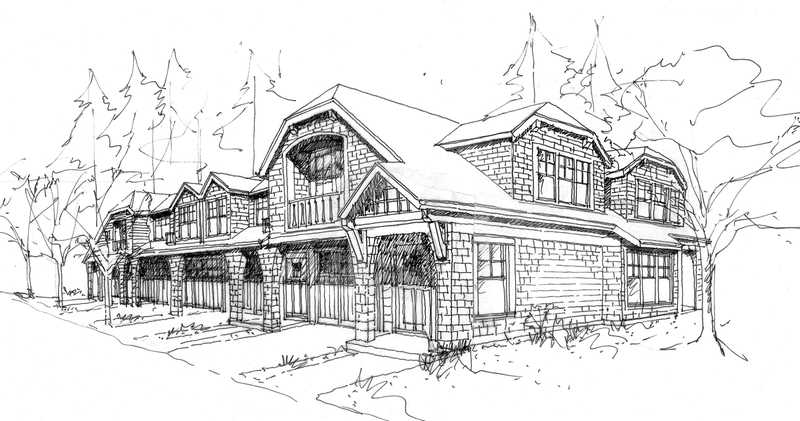 The site plan was developed with a central cluster of traditional front porch bungalows with rear garages and alleys. 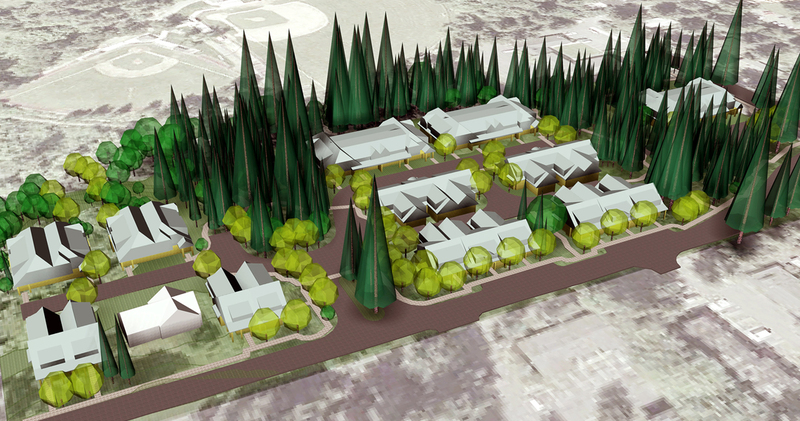 This pedestrian friendly concept will create a streetscape with more active uses facing the primary roads. 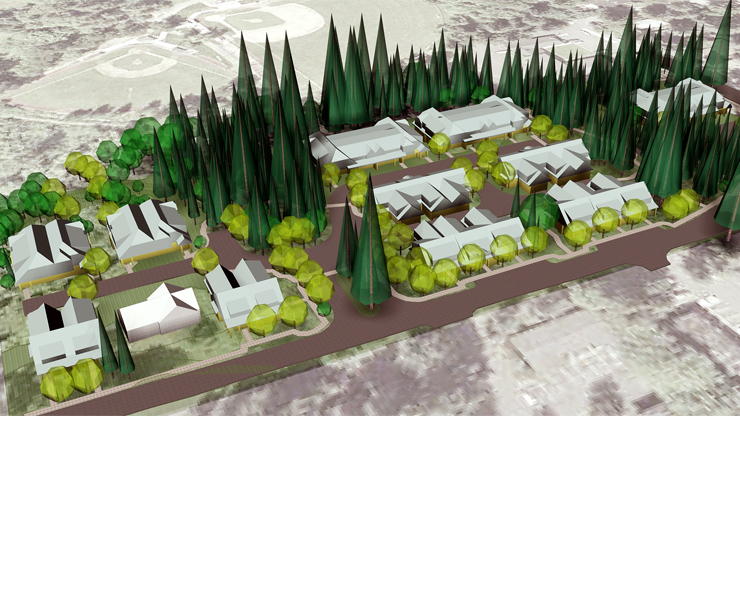 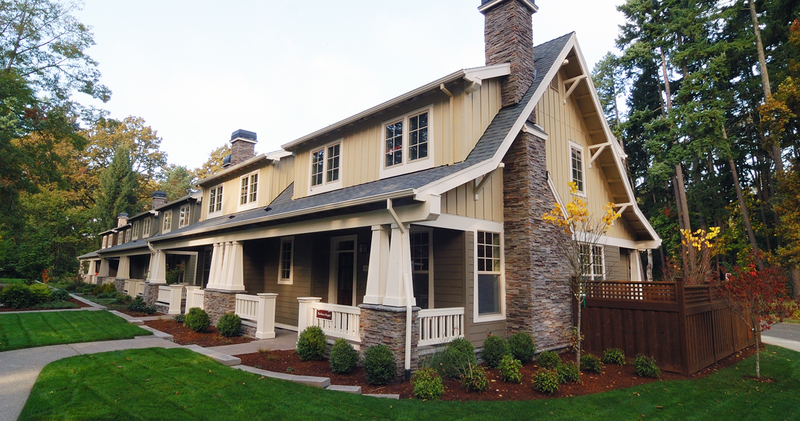 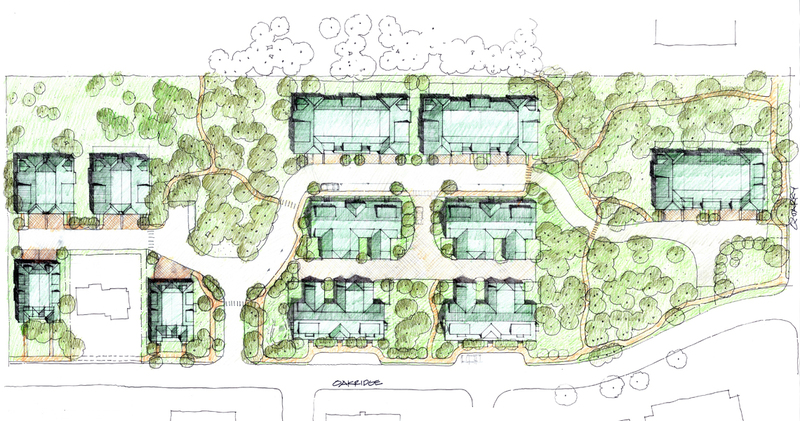 The design team worked with City of Lake Oswego Planning staff and the neighborhood organization to create a development plan that minimized impacts to existing tree groves, sensitive lands, the adjacent city park and neighboring properties. 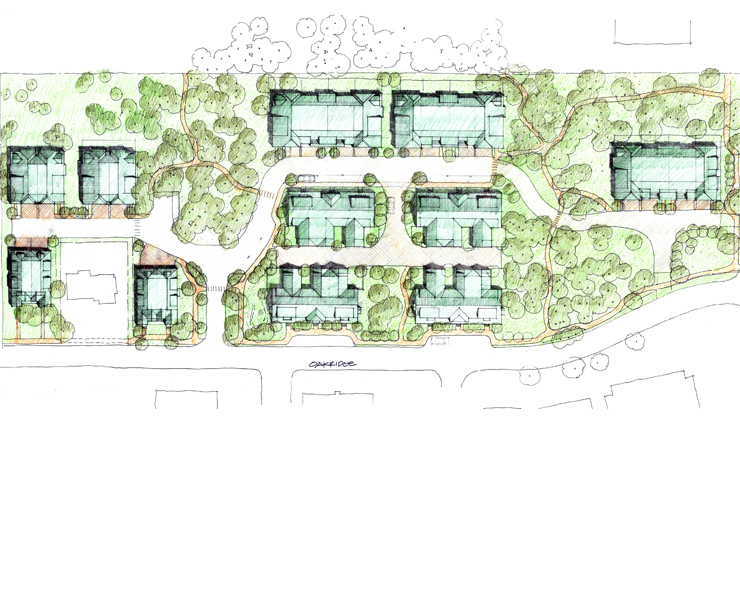 The plan avoids the common townhouse development plan where garages dominate both sides of the street. 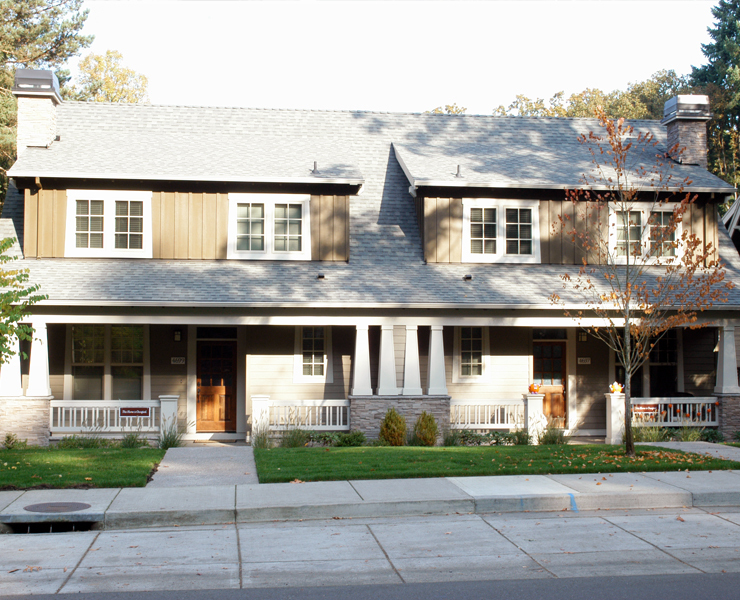 The architectural character of the development is derived from the low scale and intimate details of the surrounding neighborhood. 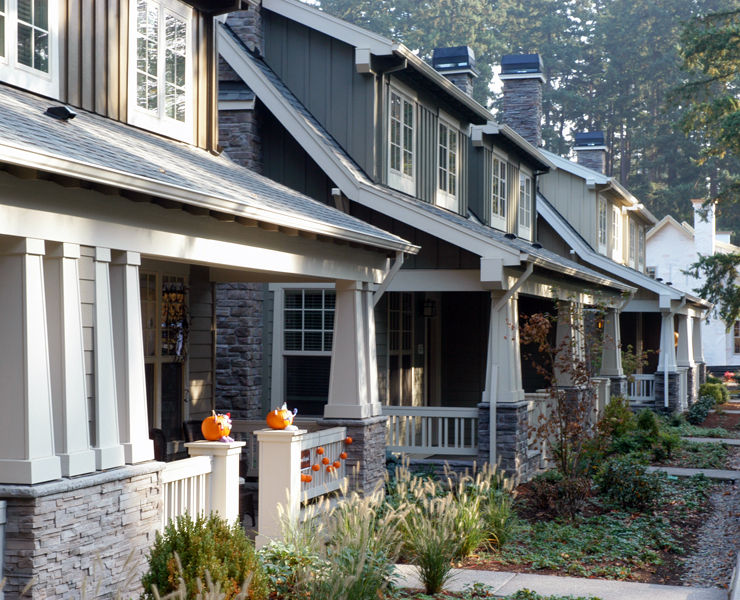 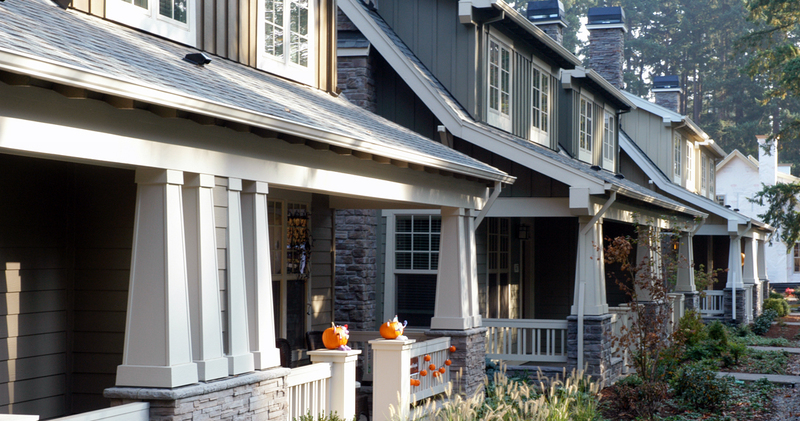 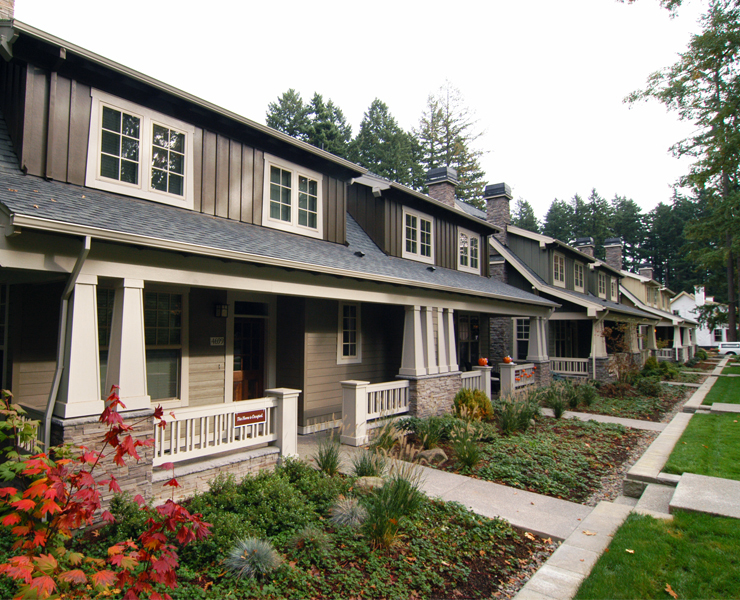 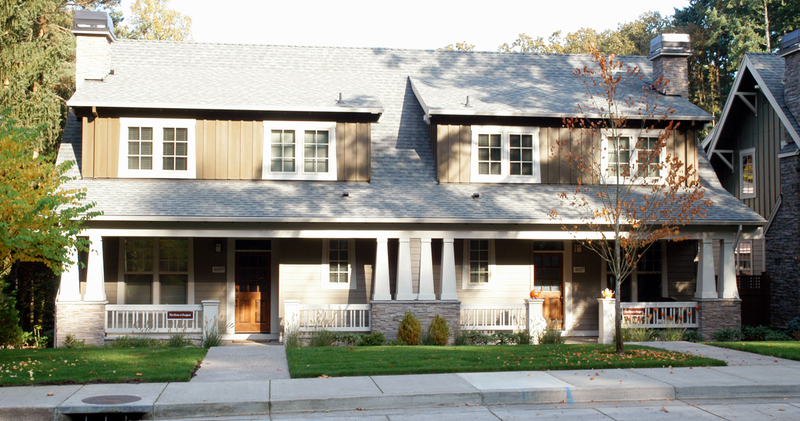 The street front massing along Oakridge has been articulated with a combination of dormers and porches to delineate the individual townhomes.